This weekend Keith and I travelled down to the coast for Cyclocross nationals. After a nice drive over the Mtns. Friday night we awoke to cool rain on Race day. Hey it’s cross. By my afternoon start the rain had picked up and the temperatures dropped. With no cross UCI points and last minute decision to register I got the experience of last row call up, but I like a challenge so I focused on a good start and by the 3rd corner I was in the top 10. For 3 laps I felt technically awesome on my bike, nailing corners, descending fast and running...well not so fast but doing it. I caught up to a group of 3 including Emily Batty, but there was more work to do. I wanted to be up with the top 3 so I just kept pushing the pace and Emily was the only rider to go with me. Soon enough we were catching Pepper Harleton who had dropped off the lead group of Mical and Wendy. I just kept passing hoping to split the group and contact the leaders, but got into “charge” mode and forgot to actually set up my corners and just started crawling through them. Where I had opened gaps I lost them again. Coming down a descent that had been a non-issue, suddenly I was taking a super man dive. With one lap to go I was back in 5th and chasing Emily and Pepper rather than Mical and Wendy. Bummer. I raced hard but there wasn’t enough time left to make up for the spill. So I settled for 5th. Mical Dyck claimed a well deserved win and first national title followed by former national champ and mother of 2 Wendy Simms, Emily Batty and Pepper Harleton. Big thing for me was that I had fun and felt awesome and powerful. I learned a ton about the importance of the small details in cross racing and how rad mud tires are! I have never been so cold after a race and spent an hour shivering under blankets at anti-doping control. I got to drink hot chocolate at “my own risk” but it was totally worth it! That evening was a nice chance to catch up with friends over some tasty Italian food and rehash everyone’s war stories from the day. In cross, there are many! This day was not quite as cold, but man was it windy. A good warm up was needed to rid the junk from my legs after zero warm down the day before from being too freaking cold! The course was shorter and faster today. Initially it seemed much more boring, but the high speed course was a lot of fun to race and the uber headwinds on all the open climbs made for a good challenge. Another back row call up, but another solid start and this time I made contact with the lead group within a couple laps. 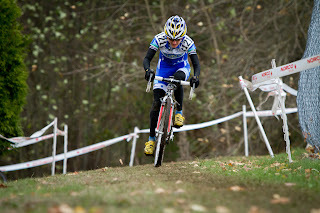 Although they dropped me hard over the barriers I was riding well and finding good lines. 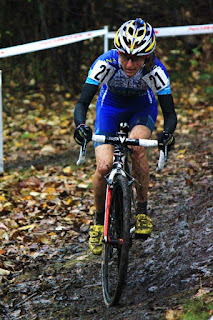 Unfortunately through a muddy section one of the other girls got thrown off her line and towards me, putting me in the tape and on the ground. The sudden direction change while sprinting made my back yell at me for a while, but I was able to get moving and going and once I realized it wasn’t seriously hurt I started chasing again, now from 8th position. Dressed much warmer for day 2: 3 layers on the core and never overheated! I was able to move up quickly and was so close to the ladies, but then I saw them sprinting for the line. Race over in 37 minutes. Bummer I was having fun! Cross racing is definitely engaging and I could see getting more into it, but not this season. It’s now time to ski! Congrats again to Mical Dyck for the Win, Wendy Simms in Second and Pepper Harleton in 3rrd. 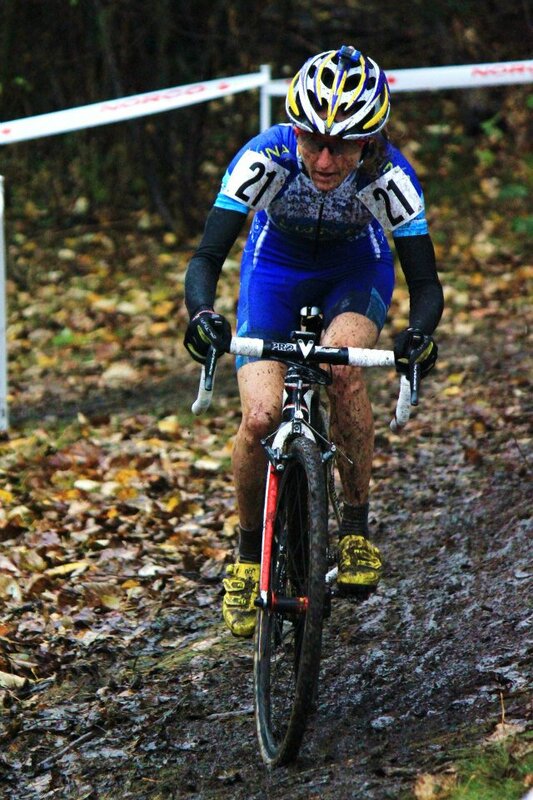 Also thanks to Daryl Evans, Cycling BC and all the local cross organizers that helped put on stellar events in BC and bring equal prize money to our uci events and nationals.